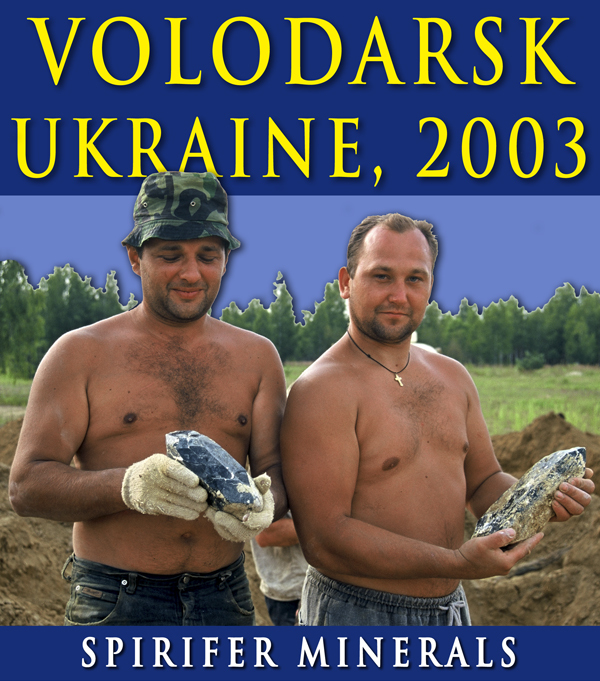 This time we are posting a photo-report from one of many trips that we made in the end of 1990’s and beginning 2000’s to Volodarsk-Volynskii in Ukraine. 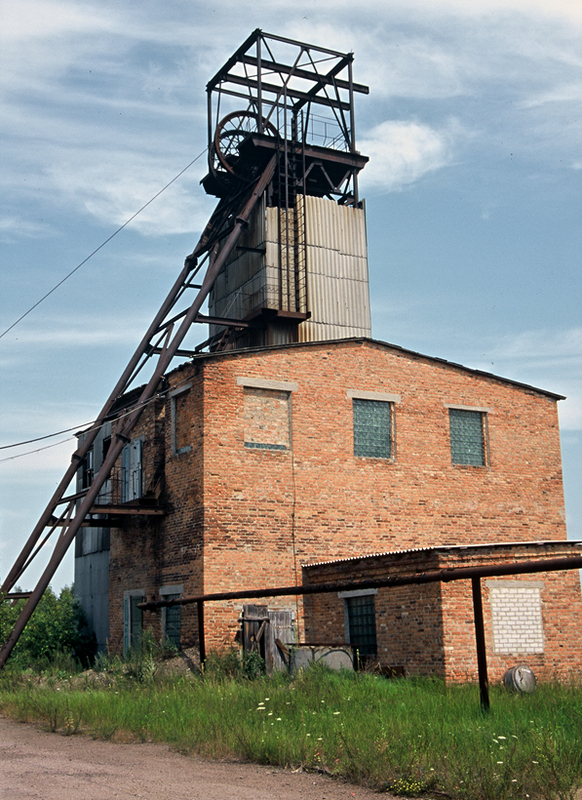 This world famous locality produced the last specimens in that period – soon after everything was closed there, and the mining activity completely stopped. 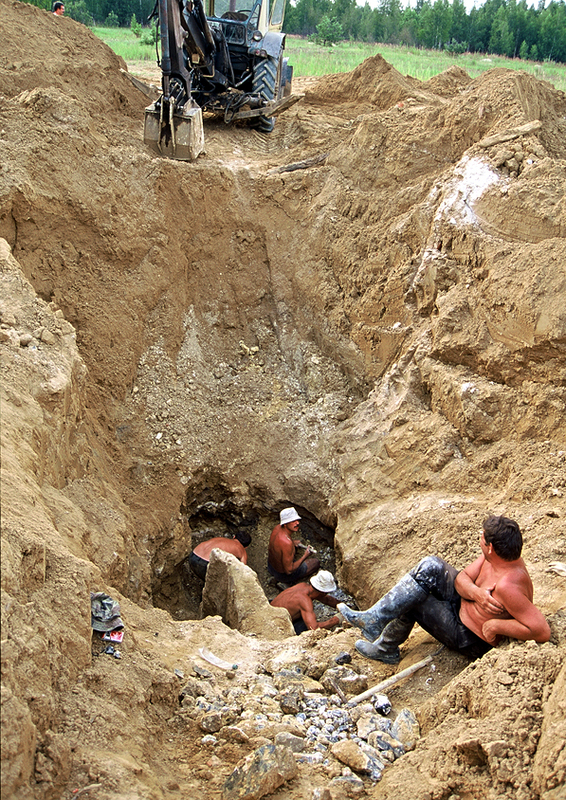 During our trips we spent a lot of time with mining geologists and were present during extraction of some pegmatites. We photographed some of them during our trip in 2003 – you can see the photos below. We drove from Warsaw directly to Volodarsk-Volynskii. Our group was quite big (10 persons) and our goal was to take photos for the article we planned to write (never done…), help to extract one of the pegmatites and acquire some specimens to the Spirifer collection. Probably the most interesting part of this visit was digging the pegmatite located near shaft 2. 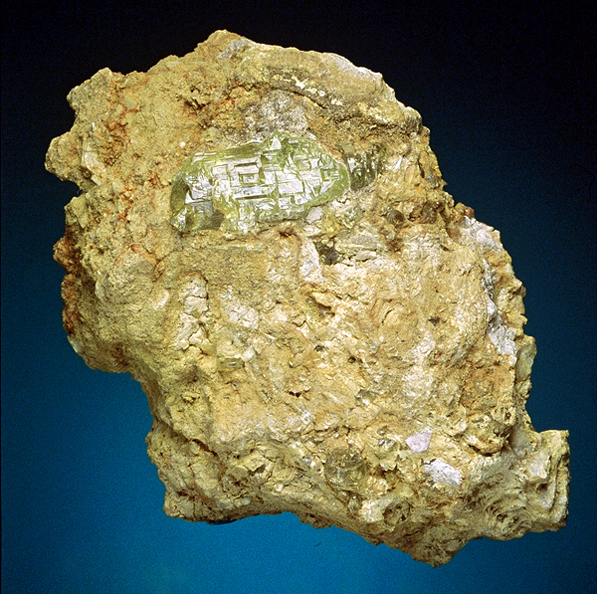 This small pegmatite was discovered during drillings but it was never mined because it did not contain piezo-electric quartz. 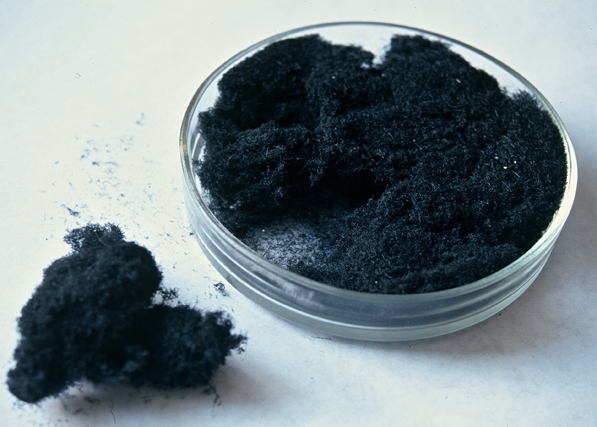 Piezo-electric quartz was a strategic material used for military purposes. The whole area was completely closed for visitors and secret for many years till the end of Communism. The whole mining operation was done only because of piezo-electric quartz and all other minerals (beryls, topaz etc) were dumped! 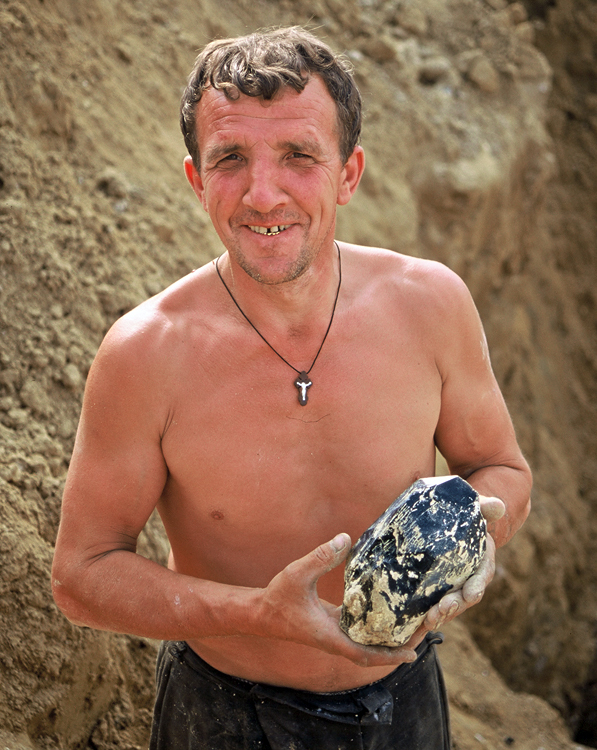 It was not until the end of 90’s when it was discovered that gem crystals had much higher value than quartz – than mining rush started. At the beginning everything was collected from the dumps which as a result almost completely disappeared! Then the easily accessible pegmatites were re-worked. 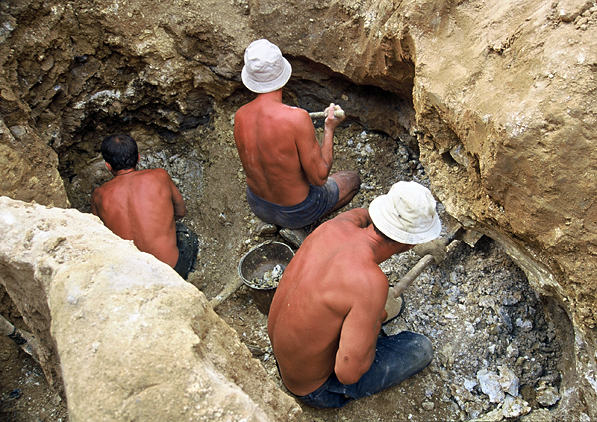 In 2000’s there were still pegmatites near to the surface which “waited to be mined”. One of them was dug with an excavator during our visit. 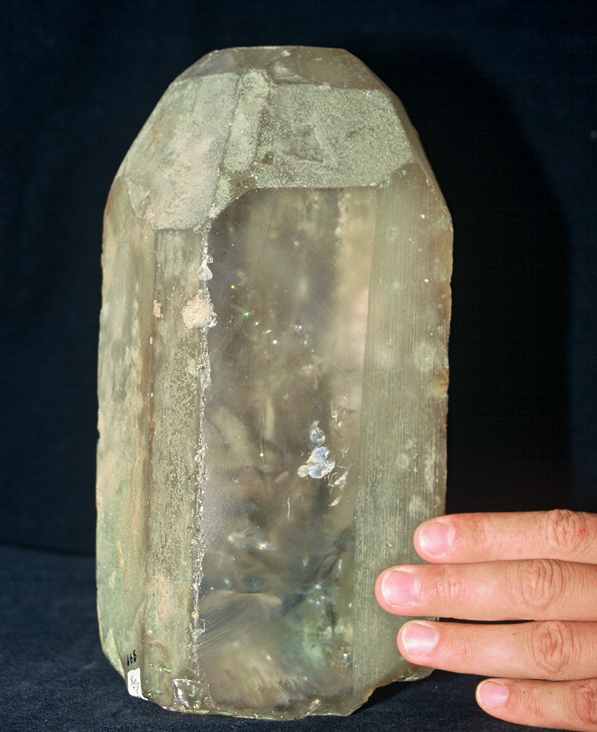 This one did not contain gem crystals but a lot of superb, huge morion crystals. All of them were twinned (Dauphiné law twin), deep black with preferential etching on some faces. 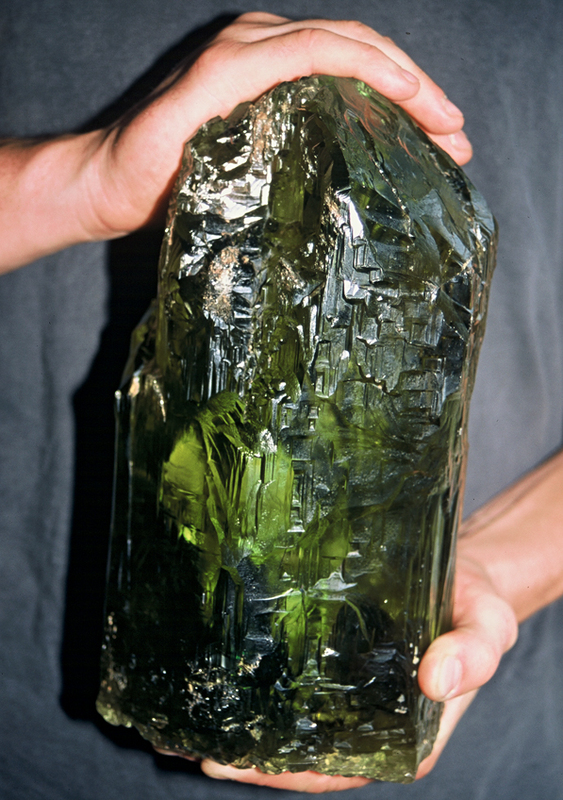 Size of specimens ranged from a few cm to 700kg perfect crystals! 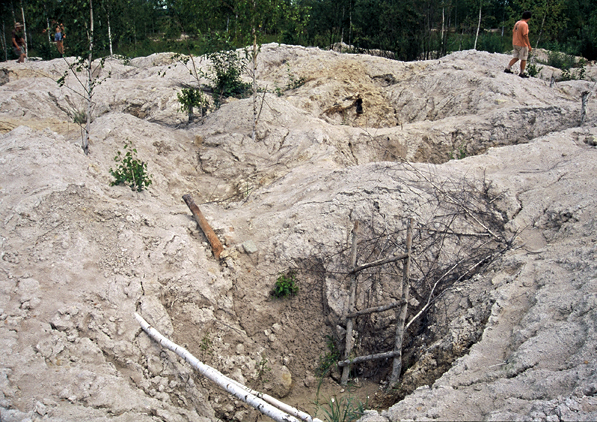 The whole pegmatite was highly eroded, all feldspars and micas decomposed to clay minerals, so quartzes were “floating” in the clay. This made digging real fun and pleasure. Apart from making parties and digging in the described pegmatite we visited several other workings in the area and spent a lot of time in Museum of Precious Stones photographing some of their superb specimens. 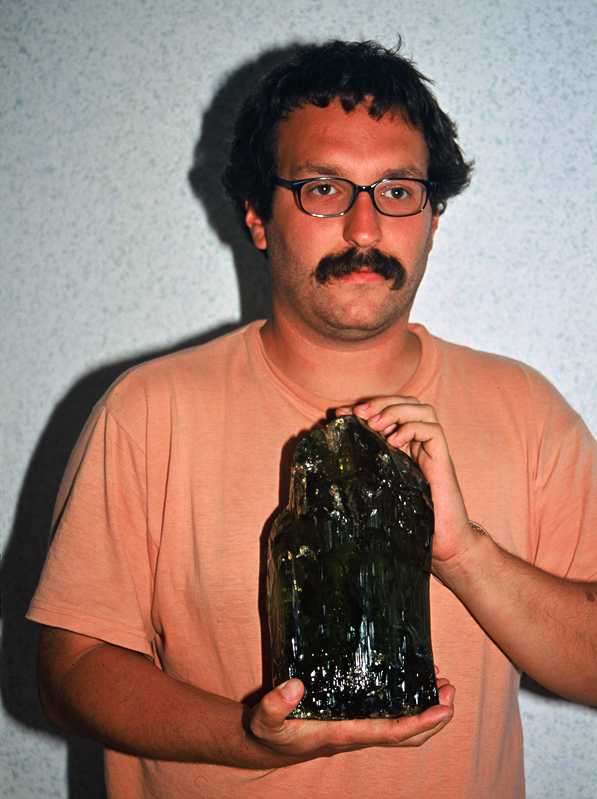 This may be surprising but taking those photos was a real fun and interesting experience…. 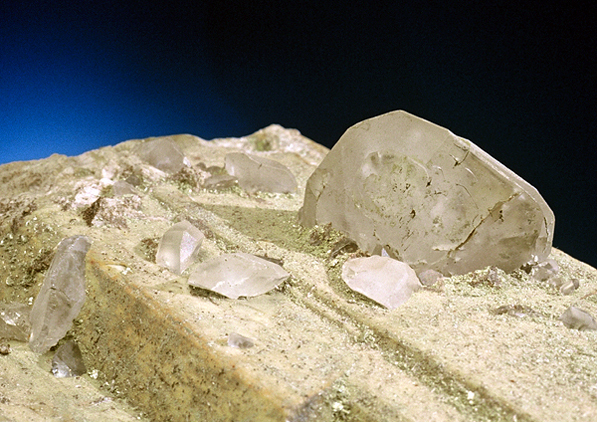 During our stay we also acquired superb specimens from another pegmatite which was worked a few months earlier and contained the best known phenakite crystals from the area – up to 4 cm! 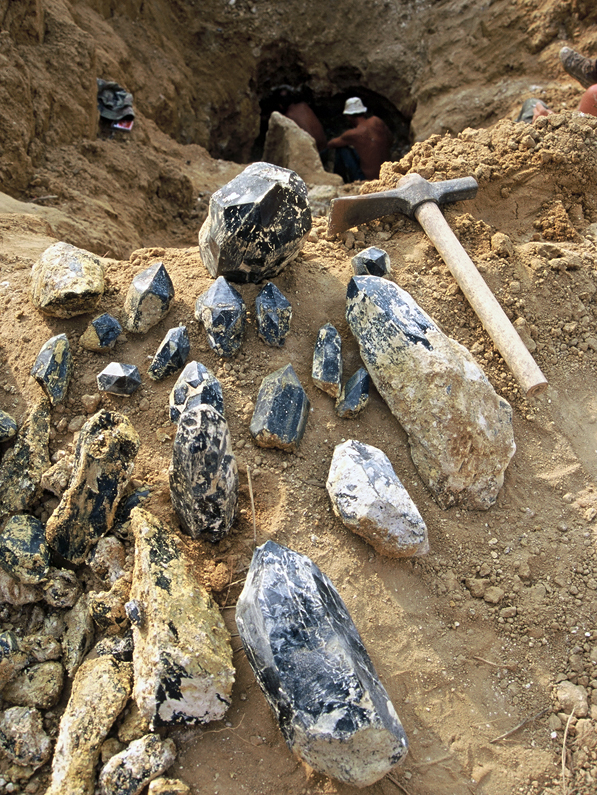 Also unusual sharp and big cassiterite crystals were found there. 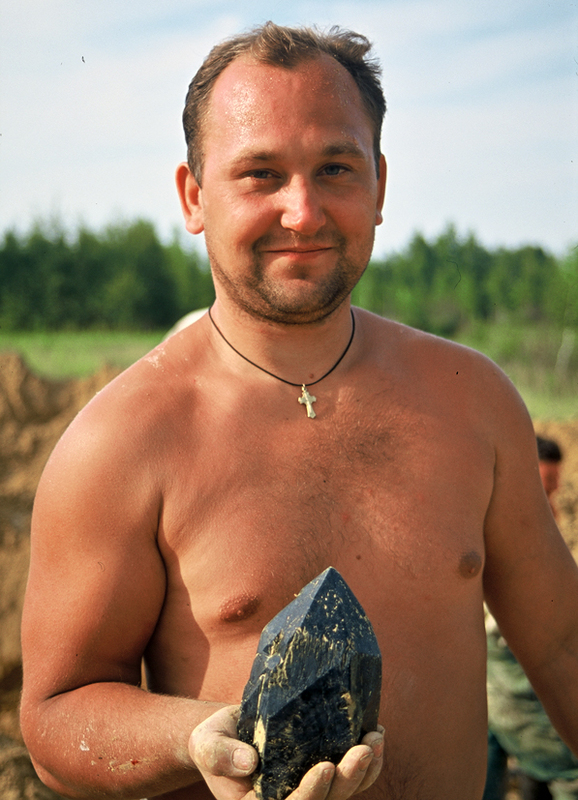 We were also offered to buy some huge and unique cut stones made from heliodore and smoky quartz, but we gave up on them. 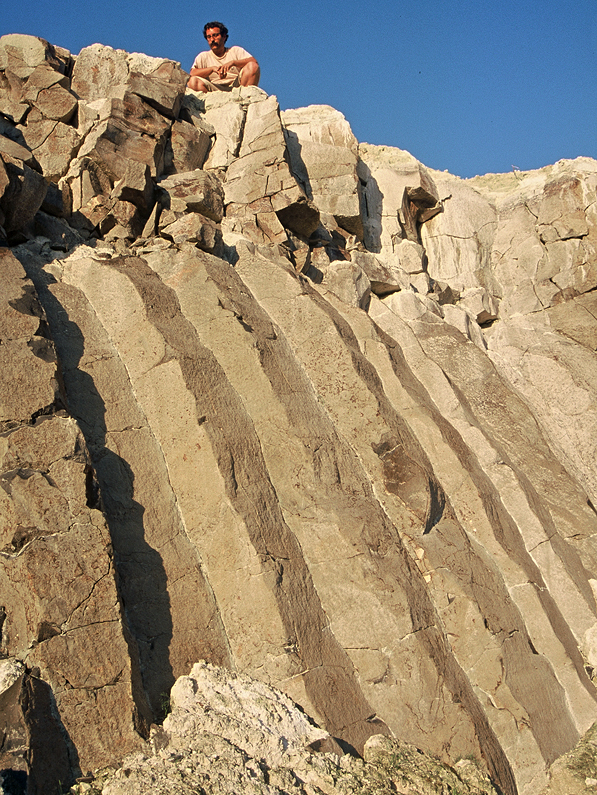 On the way back from Volodarsk we visited quickly a famous geological locality – Janova Dolina – where the huge and well formed basalt pillar joints are mined. We found an interesting layer with cretaceous fossils in one of the quarries. It was located on the edge of high quarry wall. It was a very difficult place to work. How we managed to collect there you can see on the last photo… Remember – this in not a good and safe way to collect! 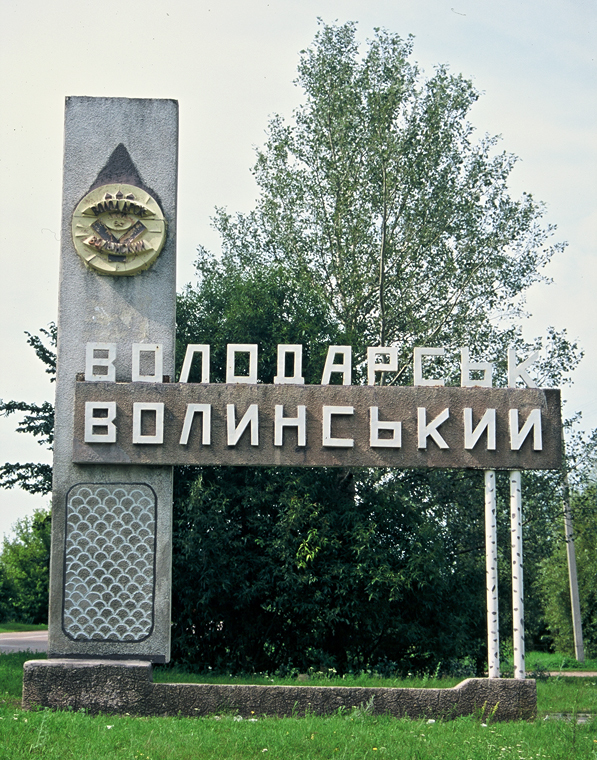 Sign at the entrence to Volodarsk-Volynskii town. M. Bienkowska photo. 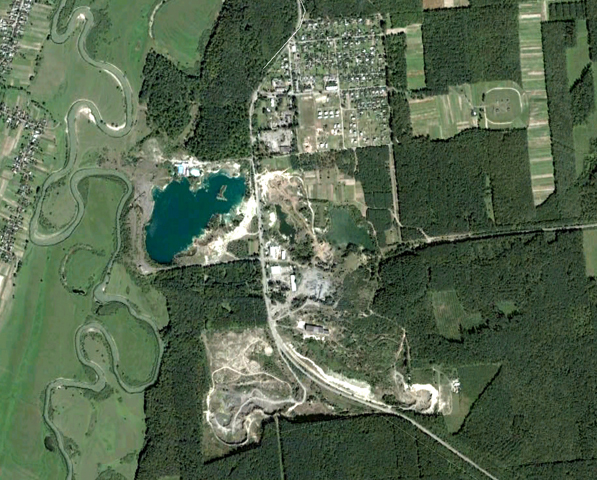 Google Map showing Volodarsk town and the area with pegmatites - marked in whitish color. 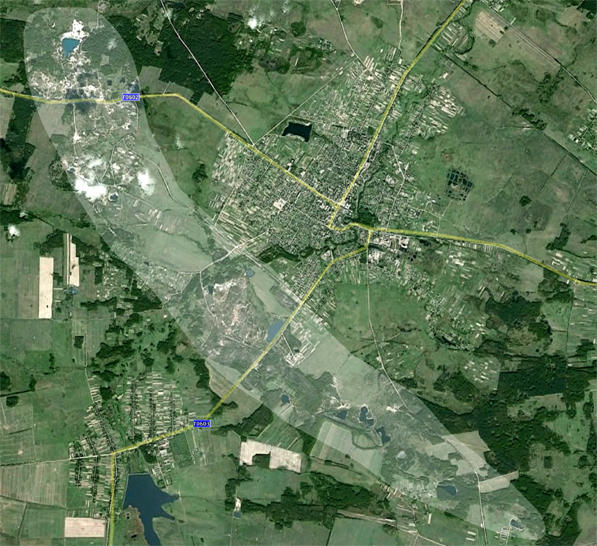 Area of workings for topaz. M. Bienkowska photo. 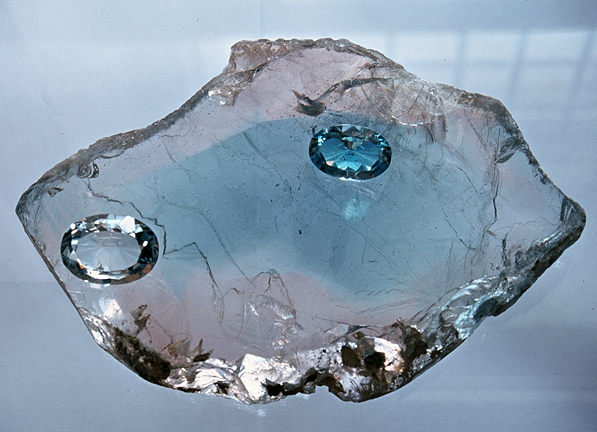 Blue topaz, 16 cm big, from the collection of Muzeum of Precious Stones in Volodarsk. M. Bienkowska photo. Blue topaz crystal from the collection of Muzeum of Precious Stones in Volodarsk. M. Bienkowska photo. 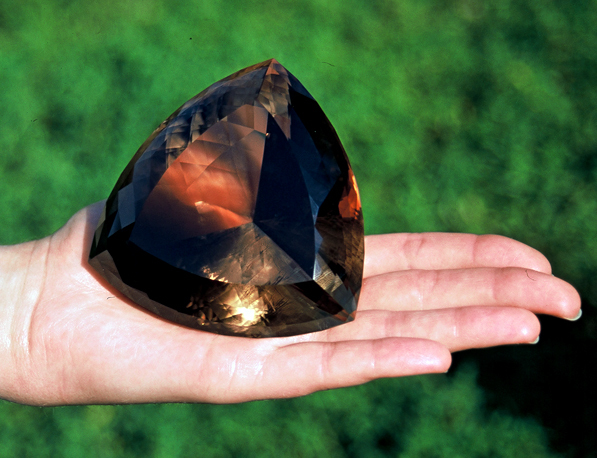 Another huge topaz from the collection of Museum of Precious Stones in Volodarsk. M. Bienkowska photo. 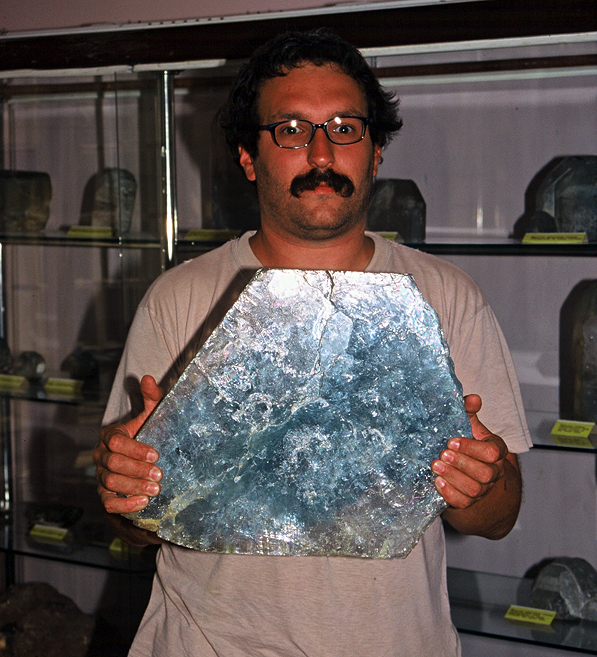 Me with huge cleaved plate of blue topaz in Museum of Precious Stones. M. Bienkowska photo. 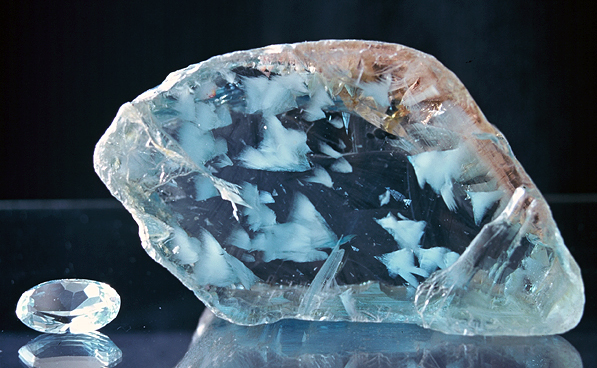 Cleaved slice of bi-color topaz 20 cm big - blue in the core and champagne at external zone. Cutstones match with the color zones of the specimen, from the collection of Museum of Precious Stones. M. Bienkowska photo. Blue topaz with fluorite inclusions in shape of "flying birds", size 14 cm. Specimens from Museum of Precious Stones. M. Bienkowska photo. Close-up of the specimen showed above. M. Bienkowska photo. 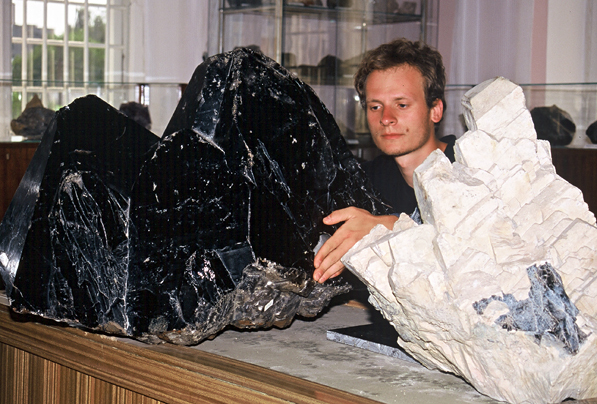 Piotr from Spirifer with huge morions and feldspars in Museum of Precious Stones. M. Bienkowska photo. 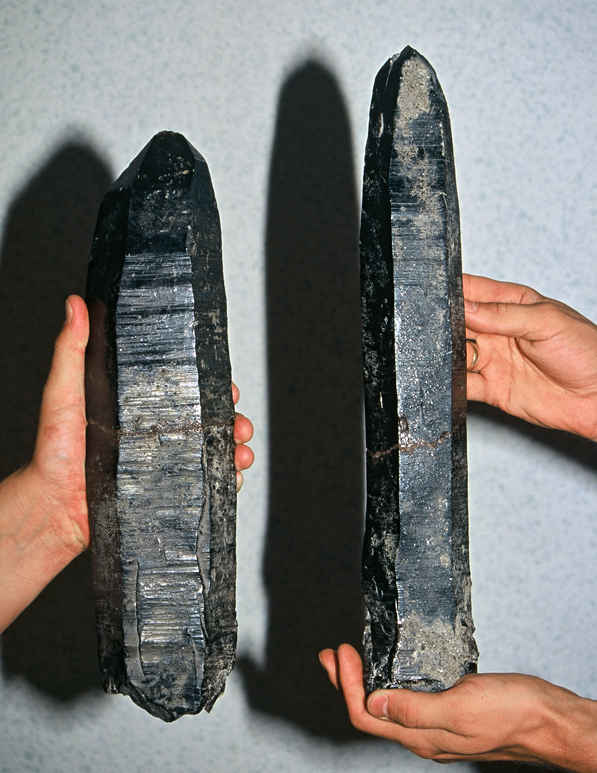 Elongated morion crystals from the collection of Museum of Precious Stones. M. Bienkowska photo. 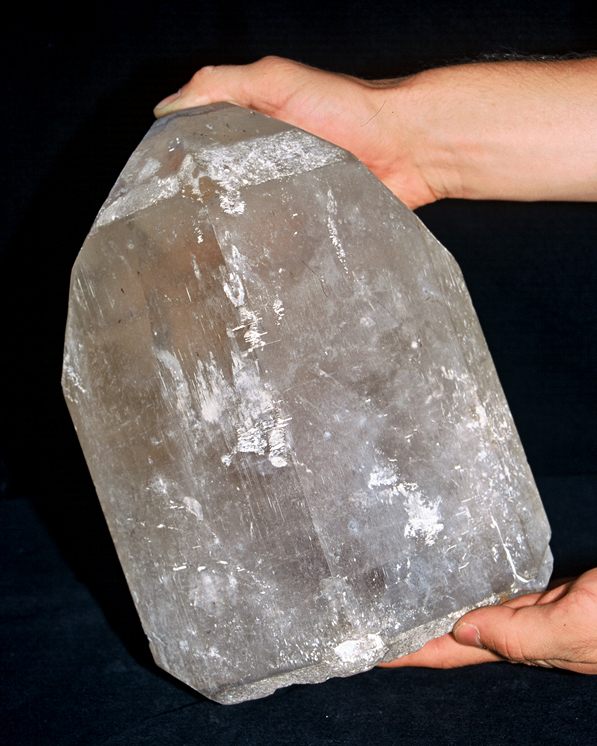 Fragment of huge specimen of K-feldspar with albite. M. Bienkowska photo. 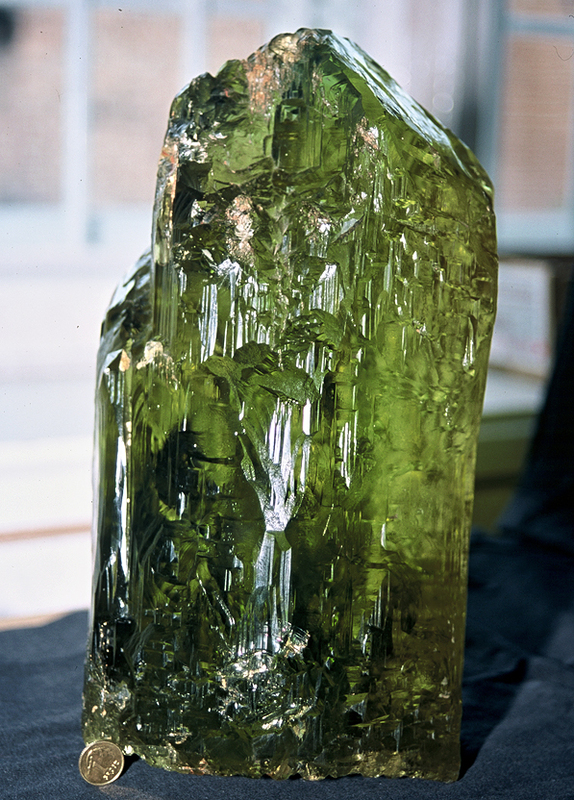 Rare organic mineral kerite from the collection of Museum of Precious Stones. M. Bienkowska photo. 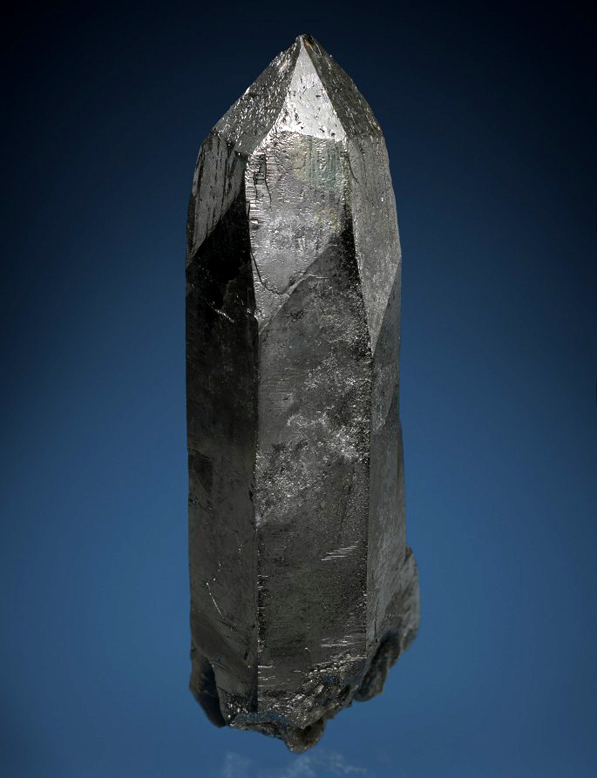 Huge cutstone made of smoky quartz offered for sale. M. Bienkowska photo. the main goal of the trip - digging in pegmatite! M. Bienkowska photo. 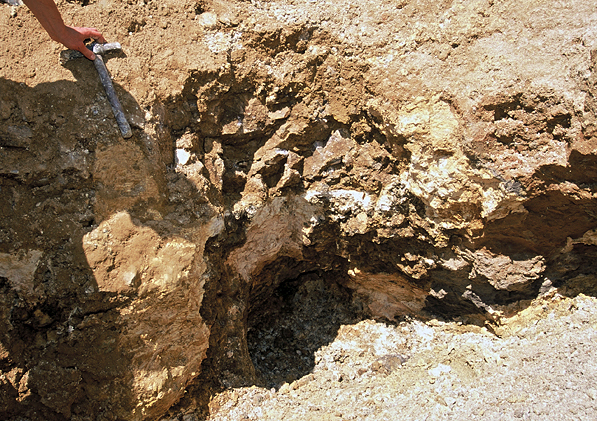 Local diggers working in eroded pegmatite. M. Bienkowska photo. 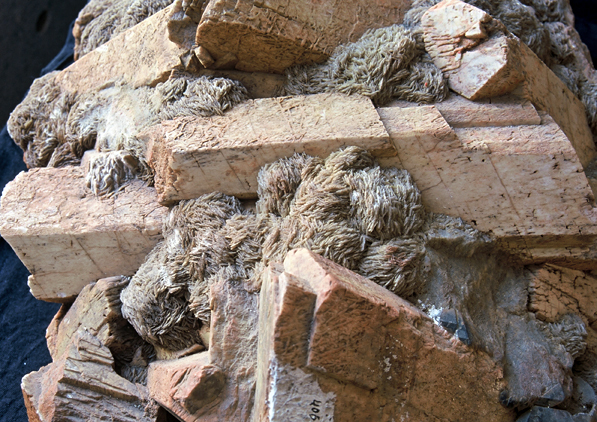 Pegmatite body in situ. M. Bienkowska photo. 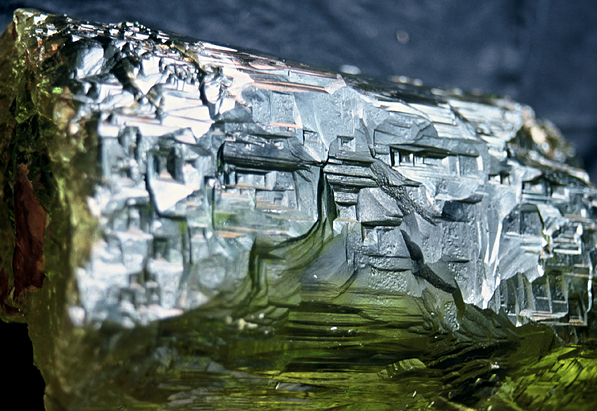 Freshly mined morion crystals. M. Bienkowska photo. Happy diggers. M. Bienkowska photo. I am proud of it! M. Bienkowska photo. Another happy digger. M. Bienkowska photo. 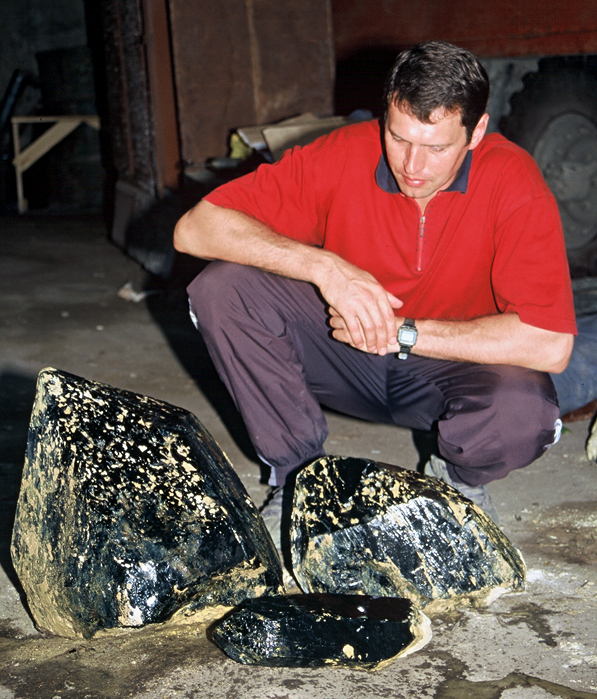 One of local geologists with huge morion crystas. M. Bienkowska photo. One of morions after cleaning, it shows Dauphine twinning. Spirifer collection. A. Akhavan photo. 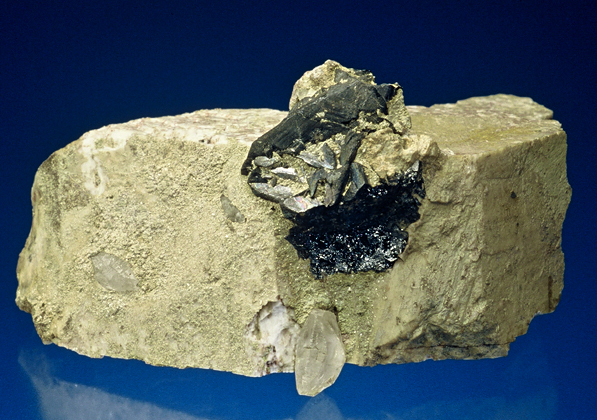 Cassiterite with phenakite on feldspar from another pegmatite. J. Scovil photo. 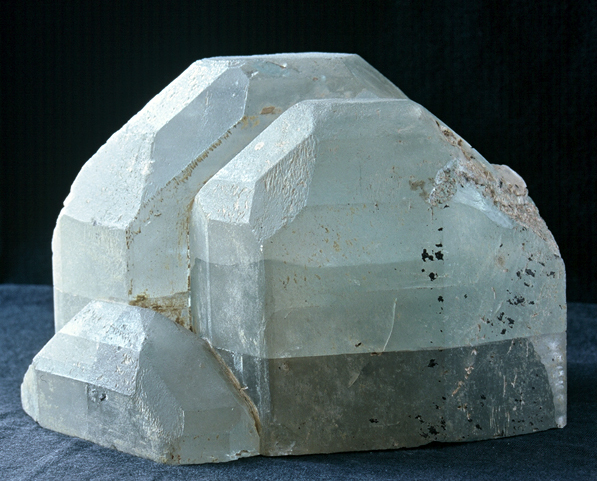 Huge, around 3.5 cm big, phenakite crystal on feldspar. 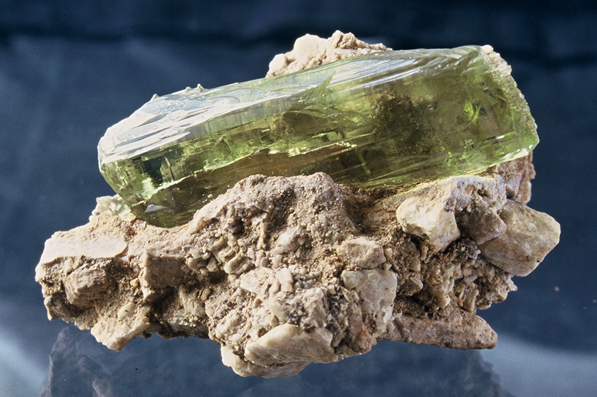 One of the best known phenakite specimens from the area. Spirifer collection. J. Scovil photo. 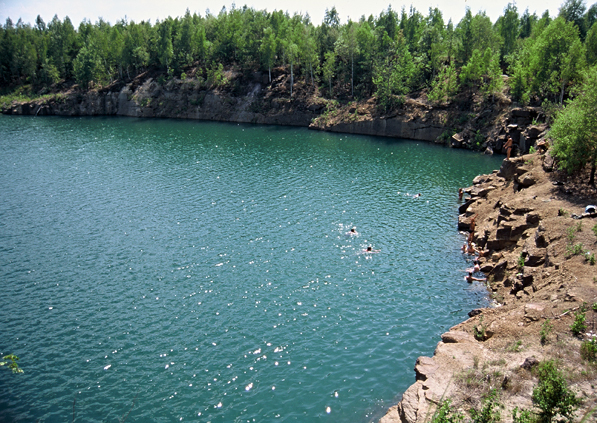 Lake inside the old quarry - now it is a great place to make a party and to swim :-) M. Bienkowska photo. Shaft 2 - famous for heliodores. M. Bienkowska photo. 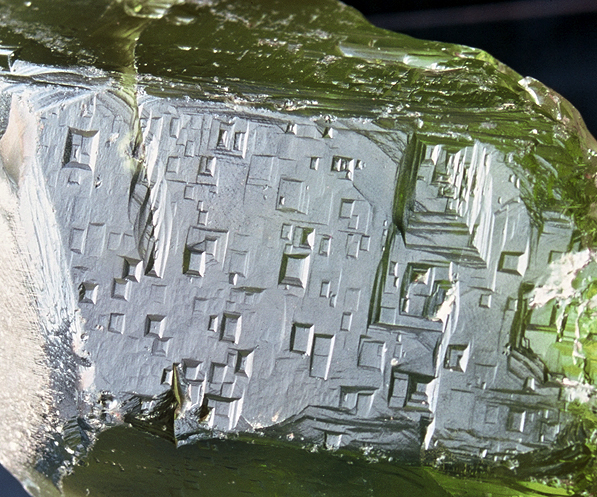 Rare specimen of heliodore preserved on matrix, size about 7 cm. Spirifer collection. J. Scovil photo. 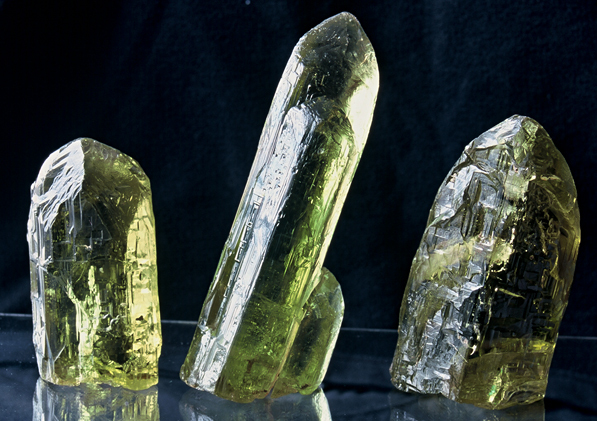 Huge (central crystal 17 cm big), gem heliodore crystals from the collection of Museum of Precious Stones. 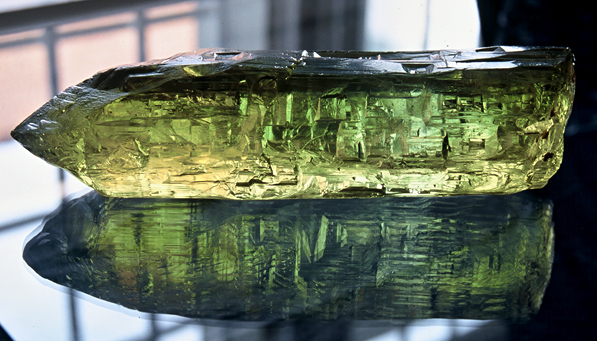 Another huge (around 20 cm) heliodore from the collection of Museum of Precious Stones. M. Bienkowska photo. 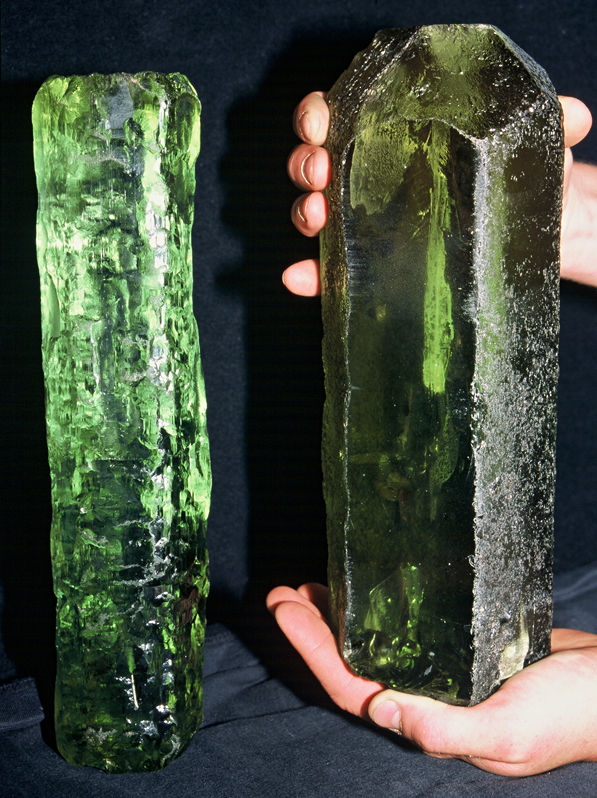 Big heliodores from the collection of Museum of Precious Stones. M. Bienkowska photo. 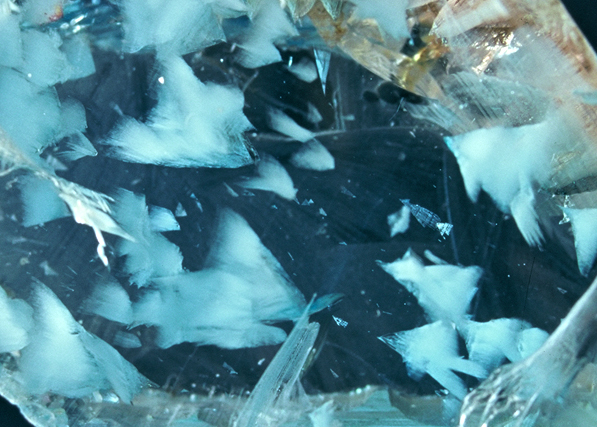 Close-up of etching figures on prismatic face of one of the crystals. M. Bienkowska photo. One of the best known specimens of heliodore (8 cm long) on matrix from Volodarsk-Volynskii, unfortunatelly after meeting with the floor caused by someone from Museum`s staff specimen had to be repaired... M. Bienkowska photo. Me playing with huge heliodores. M. Bienkowska photo. 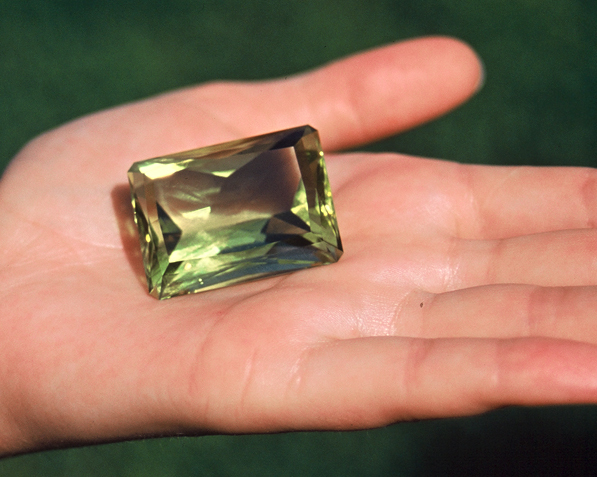 This is what we call good size of gem crystals! M. Bienkowska photo. One of the biggest and best known heliodores from Volodarsk-Volynskii called "Peter and Paul Apostoles". M. Bienkowska photo. 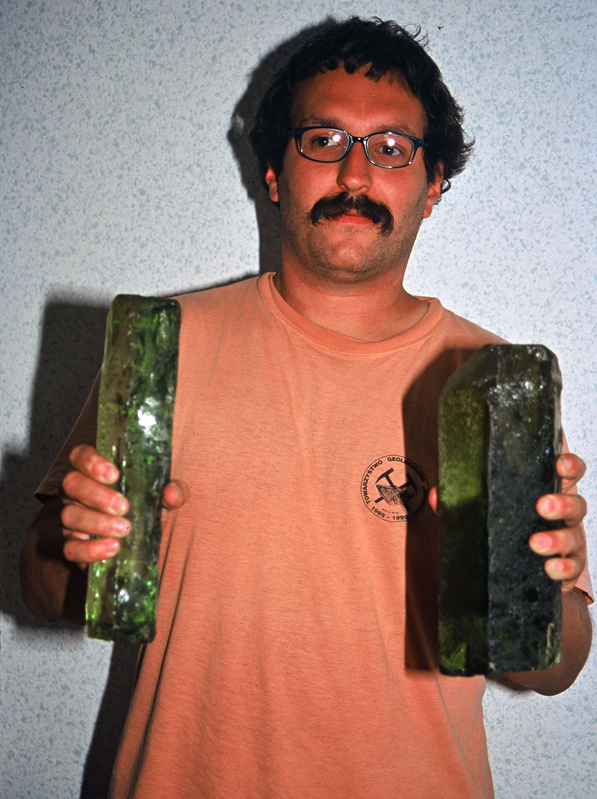 "Peter and Paul" - 6 kg of gem beryl! M. Bienkowska photo. "Peter and Paul" - 25 cm high! M. Bienkowska photo. 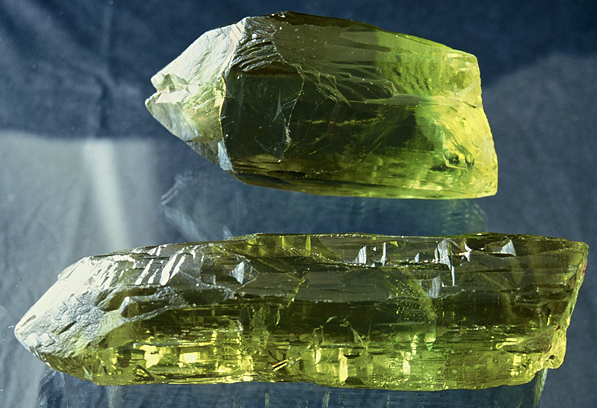 Cut-stone made of heliodore. M. Bienkowska photo. Our team leaving Volodarsk-Volynskii - later it turned up that it was the last opportunity for us to see some minerals in situ there. M. Bienkowska photo. 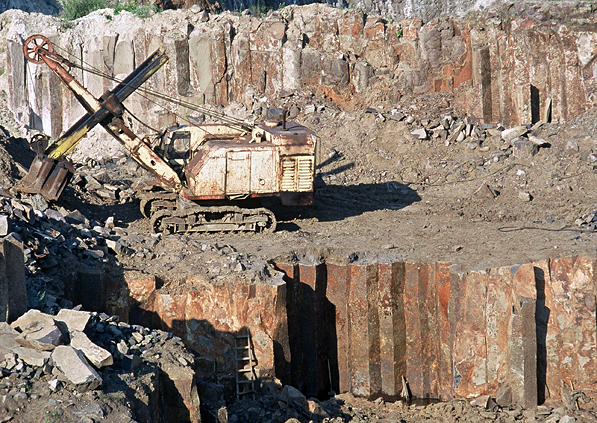 Satelitar photo of Janowa Dolina basalt quarries. Pillar jointing in Janowa Dolina. M. Bienkowska photo. Me on the top of the quarry face. M. Bienkowska photo. 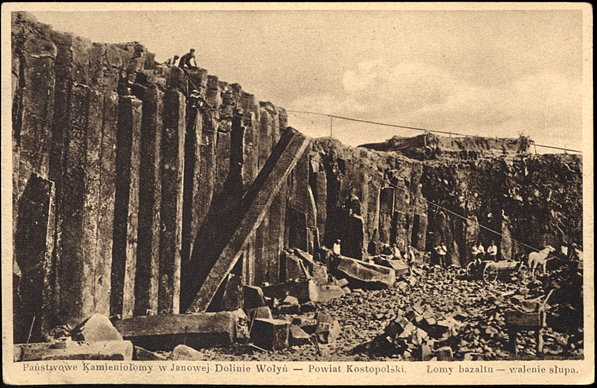 Old postcard showing the system of mining the pillar joints. Collecting cretaceous fossils on the top of quarry face. Friends keeping me so I don`t fall down... Security is important while collecting :-) M. Bienkowska photo. Great report. looks like fun digging those smoky`s out!